Learn exactly where you stand. And discover the tactics and strategies the best performers use to drive their performance. 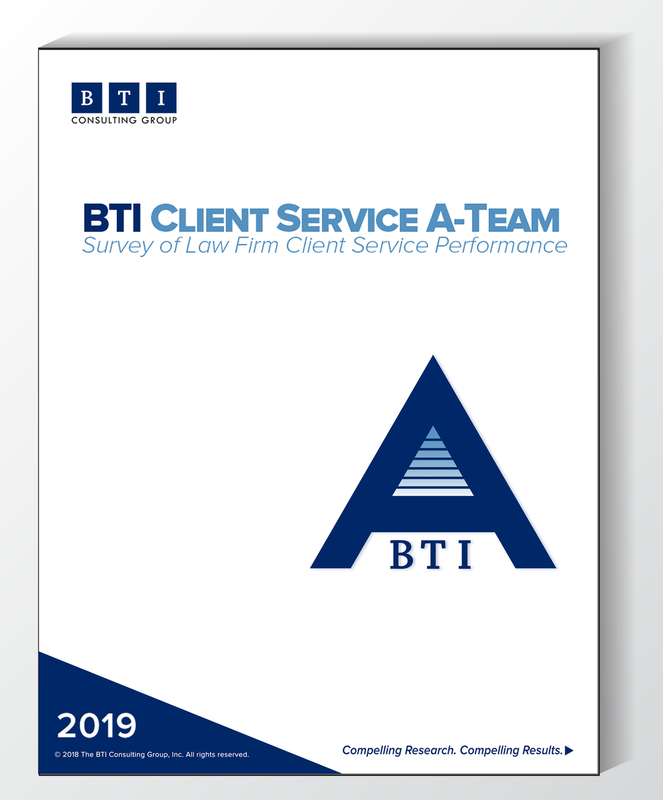 Get rankings—by name—on each and every law firm recognized in the BTI Client Service A-Team 2019—curated from more than 350 in-depth interviews with top legal decision makers at the world’s most demanding clients. Learn how clients define the 17 Activities Driving Superior Client Service. New in 2019: Clients Reset Their Definition of Client Service. This year’s report details why clients now consider Dealing with Complexity a core attribute of the best law firms.